If you own or run a restaurant, I'm sure you understand how important it is to have a solid website and online presence. Your website is one of the most important ways future customers are going to interact with your restaurant business online, along with social media and review sites such as Yelp. But what are the must-haves you need on your restaurant website that you definitely should not forget about? In this post, we've summarized 5 must-haves that you shouldn't overlook. Good food photography can make your mouth water. Bad photos can make you nauseous. Not having any photos on your site can come off as lazy, like you don't take your business seriously enough to bother with pictures. Make sure your website includes photos of the exterior and interior of the restaurant itself. Include images of the staff along with a bio of the chef, and most importantly get shots of the food and drinks. One of the restaurants that consistently gets my attention is a local diner (yes, a diner) here in Stamford, CT. Elm Street Diner does a fantastic job posting delicious photography. I guarantee it translates into people wanting to come in and try the food the see in their posts. The good news is new cell phone cameras like on the iPhone X or 8 are equipped to take pictures comparable to DSLRs. Take photos yourself using your cell phone. Here's a video full of cell phone photography tips, and here's another specific for food photos. Hire an outside social media company such as Likeable Local if you don't have the time or skills to do it yourself. Bring a professional photographer in for a few hours to get shots of your restaurant and food. Check out our blog post on Social Media Strategy: Should I Do It Myself for a breakdown on your options, and how to fit all 3 of the above into your business. But have you ever looked at a menu on a restaurant's website, get excited for that special meal, only to get to the spot and find the dish you wanted to try wasn't on the menu that night? This happens often for restaurants that update their menus, or have seasonal menus and specials. I was meeting someone at a restaurant recently, and before I left the house I decided to check out the menu on their website. I saw something I had never seen on a menu before - some sort of pickle sampler. Different types of homemade pickles. Don't get me wrong - I'm not a pickle connoisseur at all - but for whatever reason I said to myself, "I'm gonna try that!" I get to the place for lunch, look through the menu - front and back - and quickly realize the only thing missing from the menu was the pickle sampler. The wave of disappointment was real. My mental preparation was wasted. I had to start all over again in my decision making process. At the end of the day, advertising you serve something on your website's menu, or on social media, when you don't serve that specific dish creates a bad experience for your customers. Any time you make an update to your in-house menu, make sure the same day that menu goes live, you also update the menu on your website. It's also a good idea to make an announcement on social media that you are making some changes to your menu, or you are changing to a new seasonal menu as the year goes on. 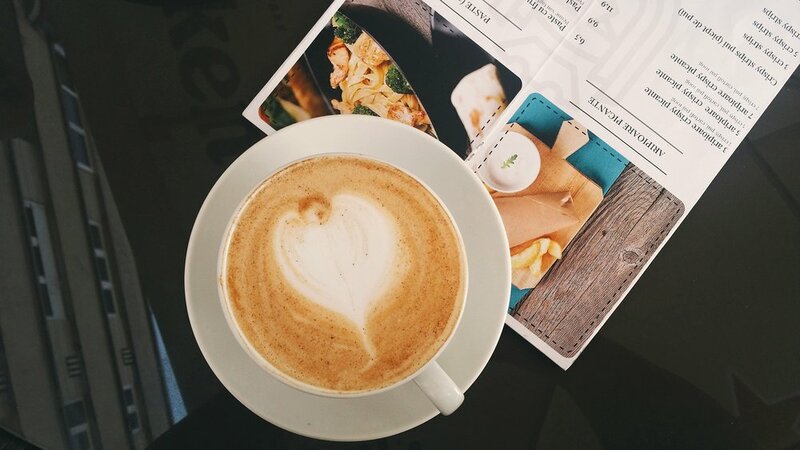 Not only does it make your menus consistent, it gives customers a reason to come back and see what new items you're dishing up. Ordering online is getting more and more popular. People love ordering delivery (or pickup) online. It speeds everything up. When a customer is getting food delivered, they don't need to fumble around with cash, or have the awkward experience of figuring out how much to tip the delivery driver. They can do that all online, so all they have to worry about is taking the bag food and saying thanks. One of the differences between cheap online ordering platforms and the better ones is the professionalism. I've seen so many restaurant websites with an Order Online button that takes you to a different site, on a different domain, with a different look and feel than your own website. I can't recommend avoiding that as much as possible. Not only does it confuse your potential customers, but sending them to a different website brings up security concerns. Changing up the design between your website and the online ordering website for your restaurant furthers those concerns, and makes your business seem unprofessional. After you get your restaurant set up with a delivery service such as Seamless or GrubHub, add online ordering to your website using the best platform we've found - ChowNow. They are fantastic. You won't need to send your customer to an external website, nor change up the look-and-feel as ChowNow is built into your website. They'll even set you up with a tablet they'll install in your restaurant to make everything super easy and professional when someone places an online order. On top of that, they hook your restaurant up with its own mobile app. How can you beat that? Their pricing ranges from $99-149/month depending on how long your commitment is with them. Not too shabby. One of the worst things about eating out is having to wait for a table when you get to the restaurant. You're told to wait, you're crammed in a small waiting area, people are showing up with reservations and passing you by, while you take out your phone looking at other restaurants that are open, deciding if you should stay and wait it out. We've all been there. Avoid this negative experience by making it super-easy for customers to book a reservation right on your website. Another benefit is that this allows customers to see which timeslots are packed and unavailable, and which still have room left. They can instantly get feedback if their 7pm desired timeslot is available without ever having to make a phone call, or leave their house. 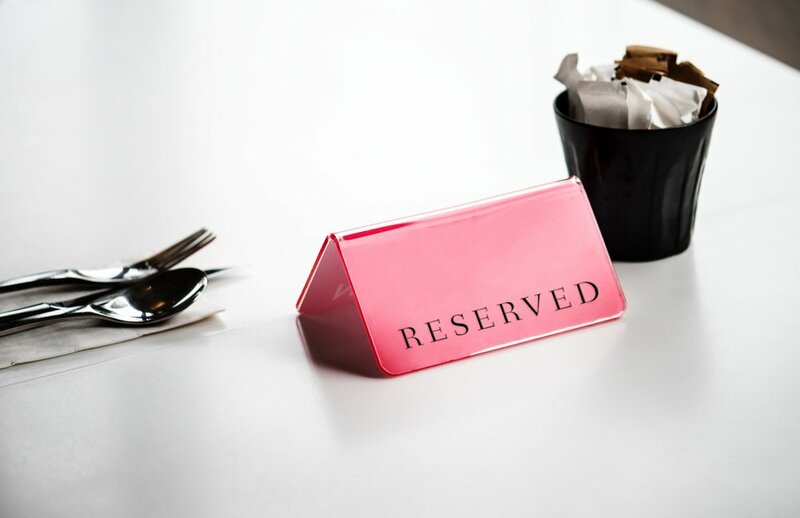 Services such as OpenTable or Reserve are perfect for online reservations. While they do charge a fee, the revenue you're bringing in from the customers may have been money you wouldn't have made otherwise. After all, once they book the reservation they are committing to going to your restaurant. Check out BentoBox's awesome comparison of different online restaurant reservation systems. There's simply too much competition out there. To fill up your restaurant with diners, you'll need a unique reason for customers to try your restaurant over your competitors. For a recent birthday, my wife and I wanted to go somewhere we haven't been before, and try a new experience. Something memorable with a cool "wow" factor. After some research on Google and Yelp, we decided to book a reservation at Morimoto's in New York City. I've watched Iron Chef ever since I was a child, and Iron Chef Morimoto always impressed me. Rather than simply going for some sushi, we discovered on their website they offer an Omakase experience, along with a wine and sake pairing. An Omakase experience at Morimoto's basically means you are opting for the chef to choose what you eat, rather than you choosing yourself. It opens you up to trying new things that you typically wouldn't have thought about eating otherwise. Couple that with a wine and sake pairing for each course, with food prepared by Morimoto's personal sous chef, and trust me, you are in for a very special treat. THAT is a convincing reason to visit a restaurant. Don't get me wrong - not everyone can be an Iron Chef like Morimoto (I get that) - but just try to think of something that you CAN do that's different and unique. Raise your standards - don't aim for status quo. Mexican Restaurants - make fresh guacamole at the customer's table. It's a nice touch, and ensures the guac will be fresh when served. Indian Restaurants - switch up the standard butter chicken (chicken tikka masala) with something a bit different, such as lobster tikka masala instead. Italian Restaurants - an oversized meatball, homemade pasta, or fresh lasagna made every day is sure to make your customers go home happy. Need help with your restaurant's website? We love working with restaurants. If you need help with your restaurant's website, contact us today! Tell us about your restaurant, and we can set up a call to discuss details on how we can get started working together.